Five wolves in Banff National Park have been captured and fitted with GPS collars to monitor their movements and get information for several research projects. Between Nov. 25 and Dec. 1, a professional crew hired by Parks Canada used a helicopter to find wolves through their tracks in the snow. They then dropped a net on one or two of the larger animals in several different packs to fit them with the high-tech collars. “We managed to radio collar five different wolves from three packs,” said Saundi Norris, a resource management officer for wildlife in Banff National Park. They include an adult male from the Bow Valley pack, a five-member pack; a male and a female from the five-member Red Deer pack; and, a male and female from the seven-member Fairholme pack. Wolves have a top-down effect on the ecosystem in the park, with previous research showing that their numbers affect the survival, fertility and population growth of elk, deer, moose and caribou. It has a cascading effect on plants such as aspen and shrubs, which then affects birds and other mammals. Norris, who noted they’ve been monitoring wolves since 2009, said the collaring process will provide additional data on how wolves are using Banff National Park. They include how much time wolves are spending in caribou range; how wolves are using the Bow Valley Parkway during the annual spring closure; how they use wildlife corridors, which will help a researcher with his project; and, how they prey on mountain goats. “We don’t know if that is a recent phenomenon or if their diet has shifted because of other declines in prey sources, which are typically elk,” said Norris, noting the data will help wildlife officials understand whether they are consistently preying on mountain goats. She added that the research has many dimensions. “It’s amazing what (we can do with) data from a few wolves and what types of research questions that can feed into,” she said. Norris said it will also help wildlife experts to keep an eye on the Bow Valley pack, which has been spotted many times this year as it hunts for prey around the Banff townsite. “It will be amazing, actually,” she said, noting the wolves appear to have keyed into the fact that some of the elk population use town as a sanctuary and are now being opportunistic. Although the Bow Valley pack has been hanging around the townsite, it uses the entire Bow Valley from the eastern park boundary near Canmore to Bow Summit. The Fairholme pack, which also uses the Bow Valley, spends its time on the north side of the Trans-Canada Highway between Banff and Canmore, and around Lake Minnewanka. Less is known about the Red Deer pack, other than it spends time in the Red Deer and Clearwater valleys. It’s believed there are at least two other packs that use Banff National Park — one in the Cascade-Panther area and another in the Spray valley near Kananaskis. When Congress passed the Endangered Species Act (ESA) in 1973, it recognized that our rich natural heritage is of “esthetic, ecological, educational, recreational, and scientific value to our Nation and its people.” It further expressed concern that many of our nation’s native plants and animals were in danger of becoming extinct, including wolves. With the exception of the red wolf and mexican gray wolf, the USFWS determined the wolves a recovered species in 2013, proclaiming that “the current listing for gray wolf, developed 35 years ago, erroneously included large geographical areas outside the species’ historical range”. The wolf cannot possibly be considered a recovered species when the estimated population is only 5,000 in the lower 48, occupies below 15 percent of their historic range, and when the Endangered Species Act dictates wolves be restored to a “significant portion” of that original range before they are ready for delisting. Wolf Hunting and Trapping Seasons to Close in GMU 2 on December 20/2015 just before midnight. THE STATE OF ALASKA HUNTING AND TRAPPING SEASONS FOR WOLF CLOSED IN UNIT 2. THE FEDERAL SUBSISTENCE HUNTING AND TRAPPING SEASONS FOR WOLF CLOSED ON FEDERAL LANDS WITHIN UNIT 2. The Thorne Bay and Craig Districts Ranger, Matt Anderson, under authority delegated by the Federal Subsistence Board, will close the Federal public lands of Unit 2 to the “harvest” of wolves beginning at 11:59 P.M. on Sunday, December 20th, through the remainder of the Federal seasons. The Alaska Department of Fish and Game (ADF&G) will close the state wolf hunting and trapping seasons in Unit 2 at 11:59 P.M. on Sunday, December 20th, 2015, through the remainder of the State seasons. MINNEAPOLIS (AP) — A proposal that would have taken gray wolves in the western Great Lakes region and Wyoming off the endangered list did not make it into a massive year-end congressional tax and spending package, an omission that surprised its backers but was welcomed Wednesday by groups that support maintaining federal protections for the predators. U.S. Reps. Collin Peterson, D-Minnesota, Reid Ribble, R-Wisconsin, and some other lawmakers had hoped to attach a rider to return management of wolves in Minnesota, Wisconsin, Michigan and Wyoming to the states, which could have opened the door to a resumption of wolf hunting in those places. The provision would have undone federal court decisions that restored the animals’ protected status in the four states despite repeated efforts by the federal government to remove them from the list. Peterson said budget negotiators dropped the provision from the final bill, which was unveiled late Tuesday, because the White House had threatened a veto if the bill contained any changes to the Endangered Species Act. Peterson, the ranking Democrat on the House Agriculture Committee, said supporters will have to regroup and decide on their next step. He said a stand-alone bill probably could pass the House but he’s not sure about the Senate. It’s also possible an appeals court could overturn the lower court decisions, he added. While livestock interests supported removing federal protections for wolves, wildlife groups lobbied against it. “It certainly was a pleasant surprise,” said Brett Hartl, endangered species policy director with the Center for Biological Diversity. Backers of the rider were trying to use a tactic that succeeded in 2011 when Congress removed wolves in Idaho, Montana and sections of Utah, Washington and Oregon from the list. “Cooler heads prevailed in Congress,” said Wayne Pacelle, CEO of the Humane Society of the United States. He said a letter written by Sens. Cory Booker, D-New Jersey, and Barbara Boxer, D-California, and signed by 23 other senators including Gary Peters, D-Michigan, helped make the difference. The combined wolf population in the western Great Lakes region is estimated at 3,700, including about 2,200 in Minnesota, while Wyoming has around 333. U.S. District Judge Beryl Howell ruled last December that the western Great Lakes states didn’t have suitable plans to safeguard wolves, and that the animals haven’t come close to repopulating their former range. Her decision prevented Minnesota and Wisconsin from holding sport wolf hunting and trapping seasons this fall. Michigan hasn’t held a hunt since 2013. Another federal judge issued a similar decision in September 2014 in a Wyoming case. The Obama administration, Michigan, Wisconsin and Wyoming are appealing the two decisions. Minnesota is not formally a party to the Midwest case, but the state attorney general’s office filed an amicus brief Tuesday supporting a reversal. A similar appeal is pending in the Wyoming case. Pacelle said his group, which filed the lawsuit in the Midwest case, will keep up the fight. “This is not the end of the process, but it’s a good outcome because Congress is showing restraint and not trying to cherry-pick a species and remove it from the list of endangered animals,” Pacelle said. This is incredibly good news for the gray wolf, which is just now starting to make a comeback across the United States where it used to roam freely. We cannot stress enoug…h that all of you who made phone calls, signed our petitions and tweeted at your members of congress are responsible for this major win. The endangered gray wolves thank you! Who’s afraid of the big bad wolf? Well the three little pigs and Little Red Riding Hood are certainly not fans … but apart from myths, legends and children’s fairy tales, why is this beautiful creature so demonized in the modern world? If someone asks you what is more likely to kill you; a wolf or a cow? You would probably go with the wolf, right? I know that’s what my first thought was. But let’s have a reality check. Cows are responsible for an average of twenty two human deaths in the U.S. each year. On average wolves are responsible for zero. In fact, you are more likely to be struck by lightning or killed by an elevator than be killed by a wolf. In the 21st century, only two known deaths have been attributed to wild wolves in the entirety of North America. So what’s with all the hysteria? Anti-wolf fanatics have been hard at it spreading myths and fairy tales, and sadly some people seem susceptible to this scaremongering and genuinely believe that the big bad wolf is going to enter their homes with fangs bared to gobble them up for dinner. You think I’m joking? I’m really not. But that’s not even the worst part. This anti-wolf rhetoric has made its way into the corridors of power. Fairy tales are influencing legislation, regulations, public opinion and threatening the recovery of wolves and their vital contribution to our ecosystems. I could give you countless examples of this war on wolves but let’s take a look at what’s going on in Washington state, where wolves are only just beginning to re-establish themselves after being very nearly wiped out by human persecution. Anti-wolf fanatics have launched a campaign to demonise the wolf. In a crusade to win over the hearts and minds of Washingtonians a group by the name of Washington Residents Against Wolves (WARAW) have erected billboards carrying a warning of death and destruction to all by the big bad wolf. Snarling teeth, glaring vicious eyes … at first glance you could mistake it as an advertisement for a new horror flick. They even say that the wolf is going to kill your children! Reminds me a bit of a dingo stole my baby. So it is pretty clear that calm, fact based debate is not on the table for the anti-wolf fanatic’s. They are steadfast in their quest of fairy tale ideologies. They even seem to openly admit this. With a quick browse of their Facebook page I noticed they have a picture of Little Red Riding Hood brandishing a gun and the message, “looks like Little Red decided to join WARAW and fight back on the wolf issue.” Well at least they are honest about the fairy tales within their ranks. The sad fact is that, as ridiculous as this anti-wolf hysteria is, wolves do suffer and will continue to suffer as a result of this demonization. Just look at Idaho. Over 1,470 wolves have been killed in Idaho since 2009 when the state demanded the chance to control wolves within its territory. Wolves have been slaughtered by various methods including firearms, aerial gunning, trapping and snaring. And shockingly this is just the beginning of Idaho’s war on wolves as a wolf killing fund has been set up to kill hundreds more wolves. All of this despite the fact a recent scientific study shows that killing wolves actually increases livestock predation. What an absolute tragedy. Could this be the future for Washington’s wolves? Reassuringly Washingtonians are not falling for the fairy tales. Billboards where erected by Defenders of Wildlife to counter the anti-wolf campaign and the bulk of the funding was actually initiated by locals who thought the anti-wolf bill boards needed a response. It is wonderful to see local people taking a stand for their natural heritage and rejecting the crusade of the fanatics. But we must also speak out for wolves. So What Can You do to Protect Wolves? Wolves need you now more than ever to secure their full recovery. As an apex predator, the wolf plays a crucial role in maintaining a healthy and thriving ecosystem. When the wolf population was removed from the Yellowstone region of Wyoming, we saw an increase in small, grazing animals who decimated the local verbiage, making tree roots less stable, leading to an increase in soil erosion. Soil erosion poses a threat to local waterways and can damage the health of aquatic life. The wolf is the stable peg that holds the entire ecosystem in balance and if we do not wish to see this same sort of degradation in Washington, or other regions of the U.S. it is up to us to protect the wolf species. The greatest threat to wolves in the U.S. is the proposal to delist them from Endangered Species Act Protection. Demand that this reckless delisting proposal is abandoned and secure the full recovery of gray wolves.The wolves in Idaho desperately need your support. If you are sickened by the 1, 470 wolves already killed then please take part in this action. An animal advocacy group says it will sue Fur-Ever Wild if it doesn’t stop killing the wolves. 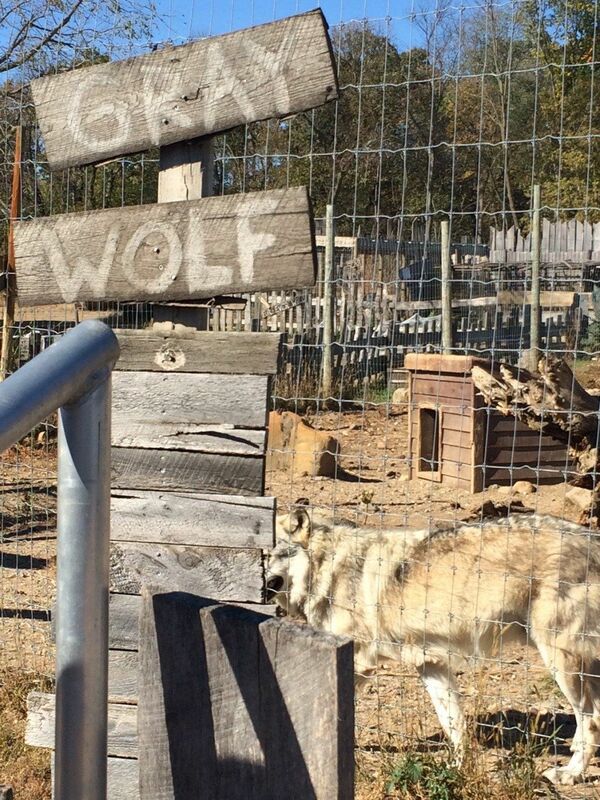 An animal advocacy group is threatening to sue a Minnesota wildlife farm and petting zoo that it claims is slaughtering gray wolves for their fur. Fur-Ever Wild, in the city of Lakeville, allows visitors to pet gray wolf pups. But the Animal Legal Defense Fund alleges that the farm kills and skins the wolves to sell their pelts. Gray wolves are protected under the Endangered Species Act, which means it is illegal to kill them. “We hope Fur-Ever Wild will agree to cease its wolf-killing operation in the next 60 days but, if not, we intend to sue to assure the law is enforced,” ALDF executive director Stephen Wells said in a statement last week. 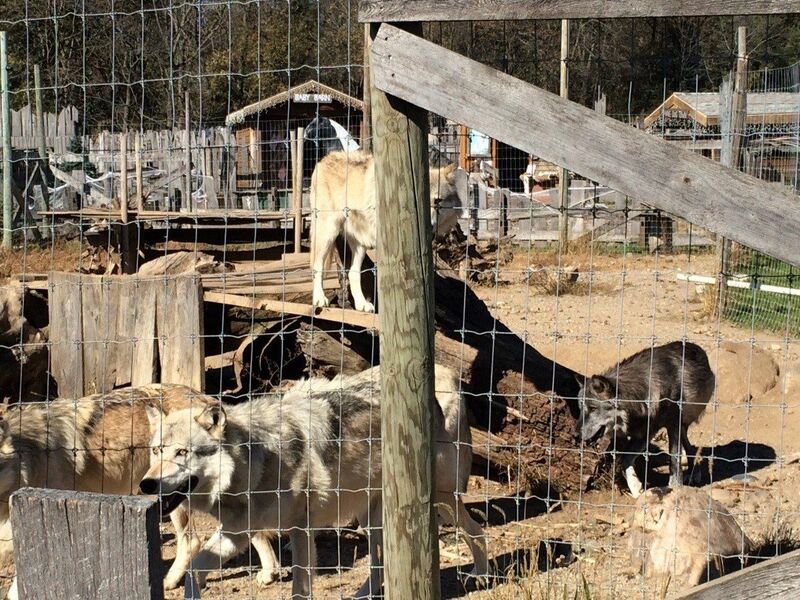 The group will seek “a court order or settlement agreement that ensures that none of the wolves at Fur-Ever Wild will be killed for their pelts,” staff attorney Christopher Berry told The Huffington Post. In that deposition, Petter specifically mentioned pelting wolves, saying she had just pelted two and that “there will be 25 [pelted] within the next two weeks.” She also discussed breeding wolves for larger size, which would allow her to pelt them within a year, instead of keeping them for two years. However, Petter told The Associated Press in May that she only uses animals for fur pelts if they die naturally. The ALDF is pointing to the annual game farm activity reports that Petter filed to the Minnesota Department of Natural Resources as evidence that Fur-Ever Wild has been slaughtering wolves more recently than 2012. In her report for the 2012-2013 year, Petter notes that she started with 31 wolves, and that 33 wolves were born and 24 died during the year. Six wolves were also sold that year, bringing her number at the end of the year to 34. In the 2013-2014 report, filed this past February, Petter states that her facility began the year with 38 wolves. (It’s unclear how she started with four more wolves than she ended the previous year with). Nineteen wolf pups were born during the year, and 19 wolves died. The wolf deaths are recorded under a category called “Number of deaths (…butchered for consumption).” Capt. Alex Gutierrez of the Minnesota DNR explained that this designation encompasses all deaths, including natural deaths and intentional killings. Berry is skeptical that all of the wolf deaths Petter recorded were natural. “If that many wolves are dying of natural causes then there is a very serious problem at Fur-Ever Wild that goes well beyond the pelting allegations,” he said. The attorney said most people visiting the facility are likely unaware of what is happening to the animals. “The average person going to Fur-Ever Wild would not think that it could be killing animals and harvesting their fur for money,” he said. USDA inspection records from November indicate that all wolves at the facility are gray wolves. Fur-Ever Wild has a number of other animals — including bobcats, foxes, lynx and opossums — though Berry noted that killing those animals for fur would not be against the law. Berry said ALDF was tipped off about the alleged slaughtering at Fur-Ever Wild by local activists who were campaigning to prevent the facility from expanding to a second location in South Dakota. The second location opened briefly, but shut down after only 10 weeks due to local opposition. “The activist effort was fueled in large part by public indignation over the compelling evidence that Fur-Ever Wild was killing its animals for fur,” Berry said. Contact the author at Hilary.Hanson@huffingtonpost.com. Sharing my happiness and lifestyle with others. Find Denver news, Colorado news, Colorado weather forecasts and sports reports including Denver Broncos at CBSDenver.com. Hostel-friendly recipes from an aspiring little chef. Fire Burn & Cauldron Bubble.